All the marketers in your business sector are aiming to grab the attention of the prospects. If you can, develop your webpage or even an FAQ landing page into an expertise hub. You will be way ahead of any competition. Your experts can showcase their expertise there and develop it into an “experts available for answers to queries” also. 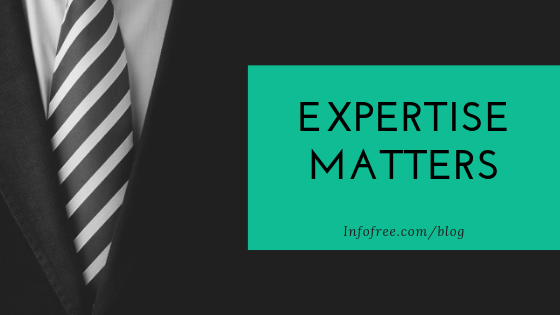 With your experts developing an expertise hub, the quality and timing of answers will establish your credibility in the market. An established credibility ensures an established audience that not only feeds into your funnel of prospects but also promotes your products and solutions with word of mouth and more. Content is one of the most essential parts of any marketing strategy but the content that is based on data and provides pragmatic insight gets more attention. Nowadays the audience loves to find actionable “how-to” information for different problems. If your business domain has such venues to explore, you can benefit a lot. You can also generate videos which address the queries and generic problems in your business sector and troubleshooting with your solutions. Your team will also be surprised to see booming engagements and sharing of those by the audience if you make them easily shareable. Remember to keep them short, relevant and interesting. Along with building your brand and expertise, you should also look for which sites your targeted audience is frequenting. Through feedback and research, you can also identify business publications or special editions of magazines, influencers in the communities and professional chat rooms for troubleshooting. Getting an audience engaged there, will be one of the most effective ways of reaching a wide spectrum of prospects. Last but not the least, your team can use the lists provided by Infofree.com, where the business databases, have 95% accuracy and consumer databases approximately 90% accuracy, to use the aforementioned techniques for the best ROI (Return on Investment). This entry was posted in infofree SMB Blog and tagged business leads, business tips, Database Marketing, email marketing, Find New Customers, grow my sales, increase my sales, infofree.com, lead generation, mailing lists, sales leads, Sales Productivity. Bookmark the permalink.